It was cold and bitter day in December 2000 in Minneapolis,MN. 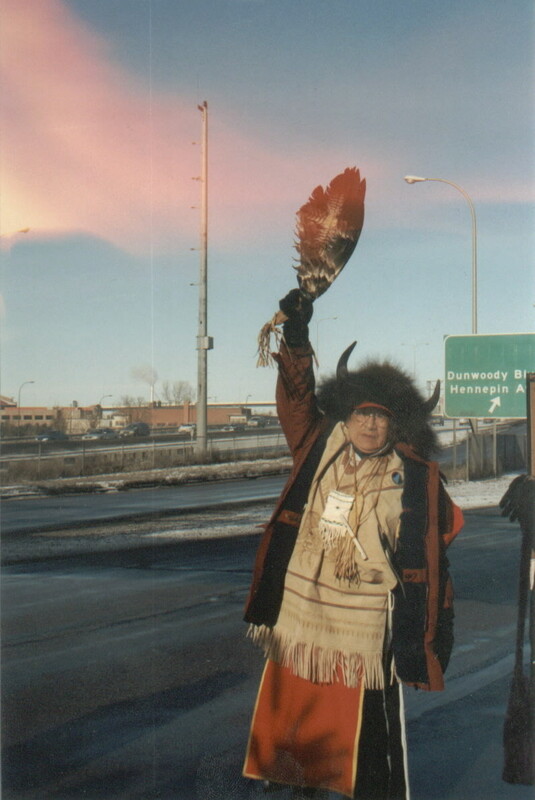 But that did not matter as The Charger, the chief of the Sans Arc from the Lakota Nation led the people in the -30 degree weather. 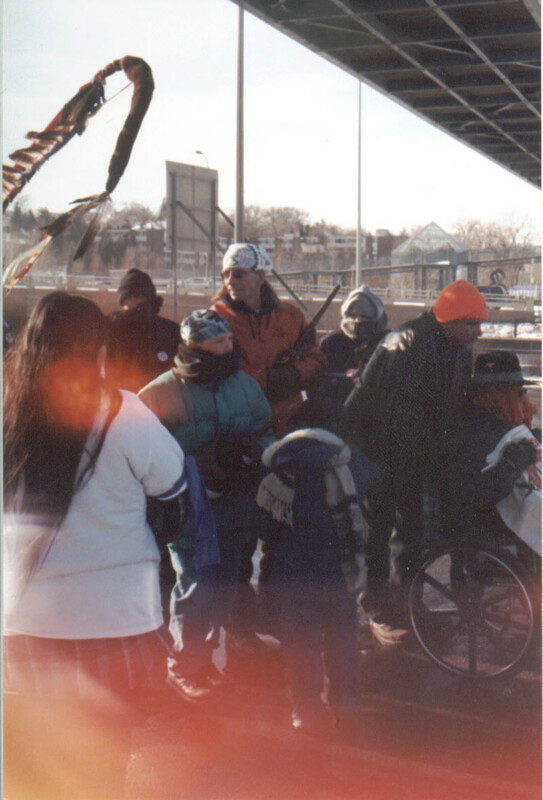 As difficult as the cold weather was, the people were in good spirits and their hearts were in a good place.The march began at the Peacemaker Center and progressed thru the inner city of Minneapolis. The Charger led the way and his true heart kept the people going. He is an inspiration! Following The Charger was the line of Sacred Pipes, and behind them the many people dedicated to the Freedom of Leonard Peltier. There were children, the elders, the handicapped, and warriors. Each struggling in their own way with the with the harshness of this winter day. 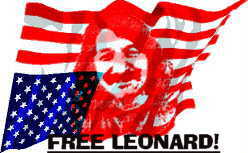 They were all suffering for the wrongs that had been done to Leonard. But the courage of the people and their spirits grew stronger with each step. It is a day that all will remember and cherish.